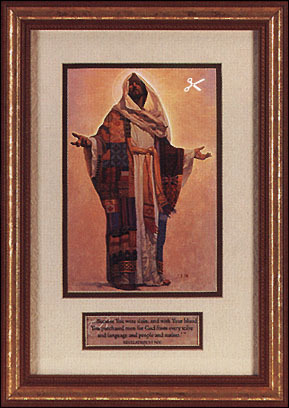 This timeless illustration by Thomas Blackshear II represents the unity we can have in Christ. The image depicts dozens of flags and symbols representing the diverse nations and cultures Jesus came to redeem. This image comes in a patterned gold framed with black border. This framed print also includes glass and hanging hardware. 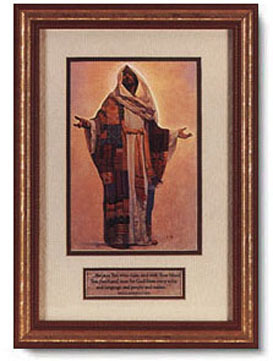 Coat of Many Colors copyright© by Thomas Blackshear II.